Disneyland Paris is coming off a very successful 15 year anniversary celebration that not only introduced two new attractions – The Twilight Zone Tower of Terror and Stitch Live!, but brought about a 10% increase in attendance for the nine month celebration that ended June 30 2008. Now in an attempt to keep the momentum going, WDI has plans for improvements as well as new attractions that are designed to keep the crowds coming. LaughingPlace.com has full details but here is in short what Disneyland Paris has in store. Playhouse Disney Live on Stage! will premier next spring in the Disney Channel building. The show will be a joint tenant with Stitch Live! that opened earlier this year. WDI has been working hard to create true Disney environments at the Walt Disney Studios Park. Virtually all of the original structures were just cold soundstages. WDI have tried to create new immersive infrastructures in the old Animation Courtyard (now Toon Studio) and Production Courtyard (with a new Tram Tour entrance and new facades surrounding The Twilight Zone Tower of Terror). WDI have pitched a new dark ride experience for a pad of land behind the existing Magic of Disney Animation building at the park. The attraction will use the track-less system that was developed for Tokyo Disneyland’s Pooh’s Hunny Hunt back in 2000 and has not been used for a dark ride at any park since.Guests will be shrunk to the size of Remy as they are chased through the kitchen by Chef Skinner and his cohorts. The attraction will play with scale throughout as the four-man ride vehicles careen around the world of Ratatouille. if built, this new attraction is likely to be the centerpiece of the 20th anniversary in 2012. WDI is looking to add a plethora of new attractions in a Toy Story­-inspired mini-land that will take its cue from A Bug’s Land at Disney’s California Adventure Park. Toy Storyland will provide up to five kid-friendly attractions and a Meet ‘n’ Greet area. The theme is likely to be Woody’s Roundup from the fictional TV show from the two movies. WDI is hopeful that Toy Storyland will be ready to greet guests at around the time that the third Toy Story movie is released in June ’10 but it is likely to be later than that due to the significant work that will be required to alter the Studio Tram Tour: Behind the Magic tour route. WDI will be adding place-making touches to the area surrounding AniMagique to bring the show building up to the same standard as the rest of Toon Studio. Production Courtyard will follow that. Next year the park will debut the Disney Stars and Motorcar Parade from Disney’s Hollywood Studios. Finally, WDI is pitching numerous ideas to add much-needed all-year-round capacity to the park. 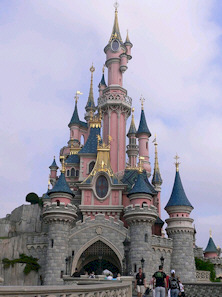 Related: Book your dream Disney vacation at Expedia.com!